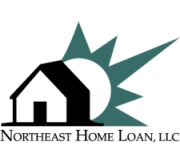 Glossary Terms | Northeast Home Loan, LLC. Adjustable Rate Mortgage (ARM)– A mortgage loan with an interest rate that changes periodically based on an index rate, usually a widely published market rate, such as the one year treasury index. The index, frequency of change, and basis for calculating future rate changes must be fully disclosed to the borrower. Annual Percentage Rate (APR)– The APR is a measurement of the total cost of credit to the consumer. It takes into account not only the interest rate, but certain other expenses and charges required by the loan program such as points, loan fees, or mortgage insurance. Appraisal – The process of estimating the market value of real estate. Appraised Value– The market value estimated by an independent real estate appraiser using recently sold comparable properties. Assessed Value– The value placed on real estate for the purpose of property taxation by the municipality in which the property is located. Debt-to-Income Ratio– A measurement typically used by lenders to determine the borrower’s capacity for repayment of the loan by comparing the borrower’s income to total credit obligation payments. This ratio is usually calculated by dividing total monthly credit payments by gross monthly income. Deed– The document that transfers title to real property from seller to buyer. Down Payment– The buyer’s initial investment of his own funds in the purchase of real estate. Down payments of 5% to 20% are typical for many real estate transactions and mortgage financing programs. Federal Home Loan Mortgage Corporation (“Freddie Mac”)– Originally a government sponsored organization, Freddie Mac is now a private corporation that purchases residential mortgages from lending institutions with funds raised through the sale of mortgage-backed securities to the investing public. Fixed-Rate Mortgage– A mortgage loan with an interest rate fixed for the entire term of the loan. Finance Charge– The total cost of credit, including interest charged periodically on the outstanding loan balance, that a consumer must pay to obtain the loan. Costs other than interest that are considered part of the finance charge may include application or processing fees, points, and certain other required charges. Good Faith Estimate of Closing Costs– A disclosure provided to an applicant for a residential mortgage loan within three business days of receipt of the application by the lender that itemizes the estimated charges to be paid at settlement to obtain a mortgage loan and transfer real estate title. Actual final closing costs are itemized on the Settlement Statement at closing. Loan-to-Value Ratio (LTV)– The mortgage loan amount divided by the appraised value or purchase price (which ever value is less), used to determine the percentage of a property’s value being financed and the maximum amount that may be financed. Mortgage (or Mortgage Deed)– The document conveying a lien on real property to the lender (Mortgagee) by the borrower (Mortgagor) as security for repayment of the mortgage loan. Mortgage Insurance– Usually required by lenders when the borrower’s down payment or equity in a property is less than 20%. In case of default on the loan, the mortgage insurance company or other insurer will take all or part of the loss. Points– A prepaid finance charge collected at closing. Every point paid is 1% of the loan amount. Points paid on a mortgage loan often result in the lender offering a lower interest rate for a period of time or over the entire loan term than if zero points had been paid. Title Insurance– An insurance policy protecting the lender, property owner, or both from loss arising from certain types of defects in title to real estate.